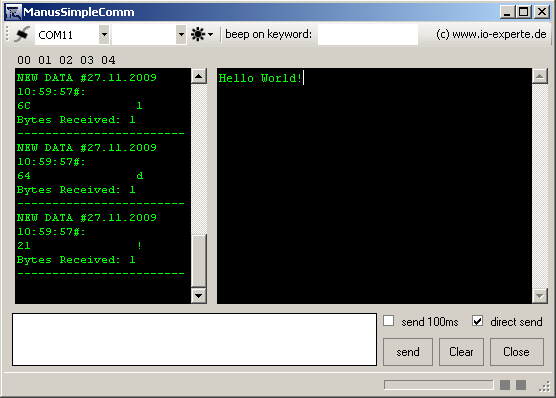 Manus Simple Com is an easy to use serial terminal. While using USB to RS232 converters it can be used to scan for available com ports. For special operations, Manus Simple Com provides more options in a special com port setup. An HEX view window next by the main terminal helps to display also hidden characters.